I often get asked about values study examples, data and how the CDSM Values Modes system works. Below are some links to posts at this blog, in my Newsletters/ articles and elsewhere, that may be useful. 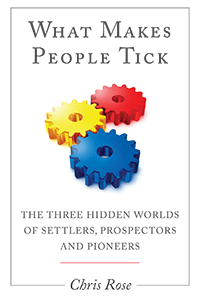 My Book: What Makes People Tick: The Three Hidden Worlds of Settlers, Prospectors and Pioneers, available through link opposite. Summary briefing on values (at Maslow Group level of Settlers, Prospectors and Pioneers). 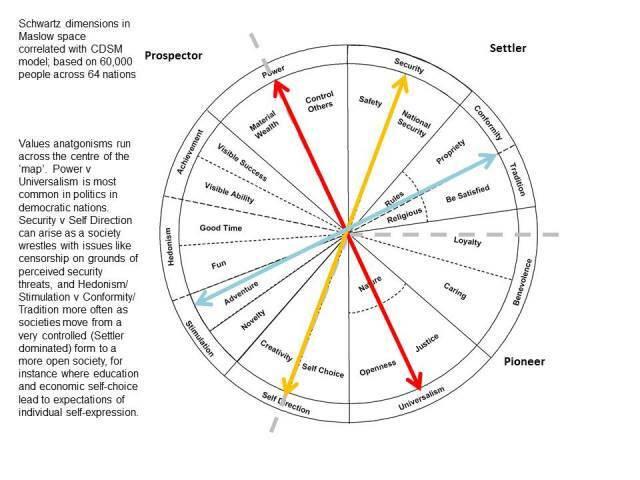 Links to descriptions of the 12 Values Modes within the three large segments of Settlers, Prospectors and Pioneers are at the home page of www.campaignstrategy.org where you can also can sign up to my free newsletter. The same questionnaire can also be found here at the website of The Campaign Company (TCC) which makes use of the values segmentation system. TCC regularly share values research insights in their free newsletter.